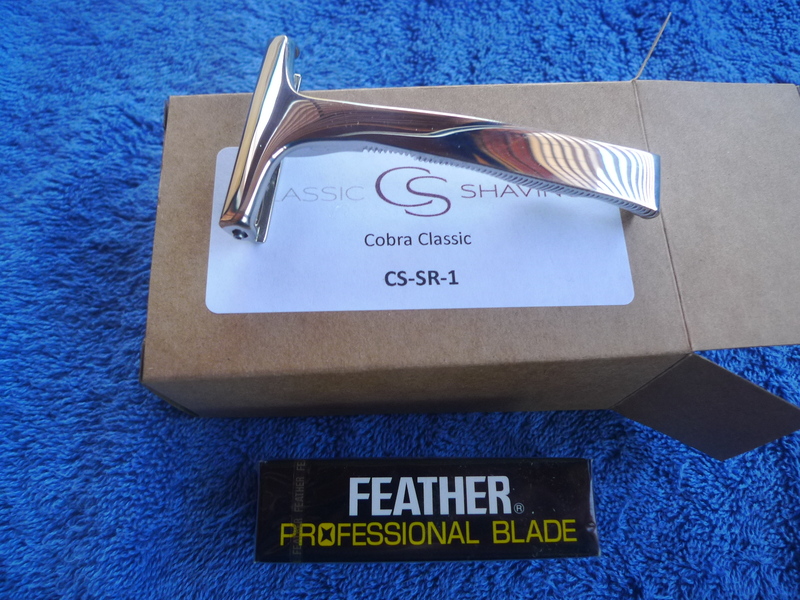 Probably regret this, but looking to trade a new Cobra Classic I purchased a couple of weeks ago with unopened 20 pack of Feather Pro blades. Not what I was looking for. Will consider trades for a Wolfmann, BBS-1, and OneBlade with case, stand and blades. Please PM with photos. I probably won't be checking back until tomorrow night. Thanks. Nice! Lofty trade options. GLWT Trade ! A used OneBlade typically sells for less than a very slightly used Cobra Classic; it's just supply and demand. For someone who wants a Classic and has a unloved OneBlade it's a good trade. I could probably sell the razor somewhere else and have enough to buy a new OneBlade - just thought it would be more fun to trade it. The other two are a bit problematic - it depends on if someone wants a Classic. I'll probably need to add something else if someone were interested. Again, supply and demand and how much. (05-23-2016, 12:07 AM)sapidus Wrote: A used OneBlade typically sells for less than a very slightly used Cobra Classic; it's just supply and demand. For someone who wants a Classic and has a unloved OneBlade it's a good trade. I could probably sell the razor somewhere else and have enough to buy a new OneBlade - just thought it would be more fun to trade it. That's not very accurate, in my opinion. It depends. If you are going to sell the razor on ebay, then there is potential that you will get a fair amount of money and eventually you will be able to buy the OneBlade. But, I've never seen any used OneBlade selling for less than a used or new Cobra Classic in BST threads lately. You don't see many OneBlades in BST, on the contrary, you see many Cobras. That's because wet shavers like to play the Classic Shaving's game with the artificial shortage. Classic Shaving has some available to buy once in a while, things could be a lot different a few months ago. There is a reason why many forums have set price caps. If I am not mistaken the CC retails for 199$ and the OneBlade for 299$. There is quite a difference. FYI, I own the OneBlade and it's a great razor. I agree the prices you see on the BST are different than what you'd see on an auction site like eBay. On the BST the price isn't market driven, it's driven by board policies and the price that the seller thinks a razor might be worth. On a site like fleaBay, the market decides and it's whatever one (or two) people decide it's worth when they're bidding. Sometimes you get lucky, but often not. I'd never pay the amount Double Rings go for, but to the guys buying them, they're worth the price paid. No offense intended, I buy things others don't see the value in all the time. My comment about the relative prices - I've seen used OneBlades go for less than 200 to mid-200's at auction. I haven't seen a Cobra go for less than 200 in a auction, but I have seen them go for over 300 and more. I agree that you'll see Cobra's listed once in a while on the BST for 199.00 , but you need to act fast because they usually don't last very long. Again supply and demand. 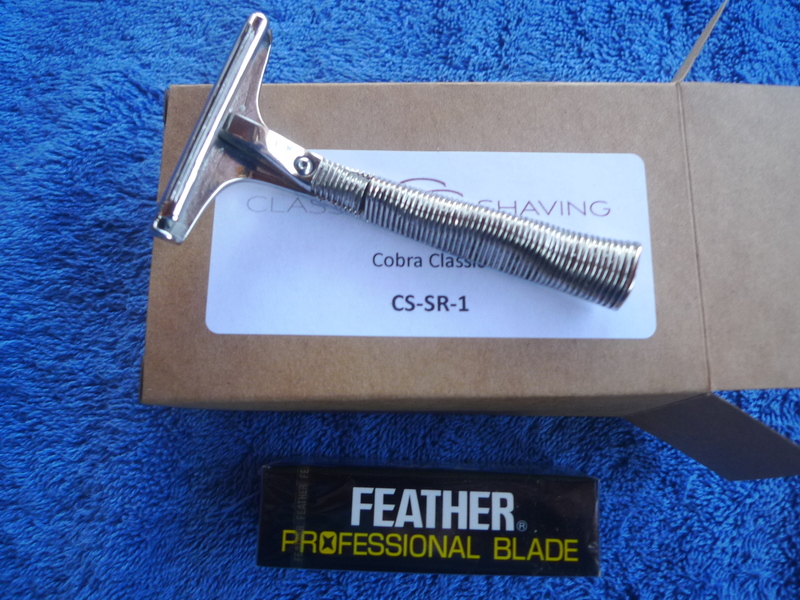 Which is where my comment came about this being a relatively good deal for someone who had an unloved OneBlade but wanted essentially a new Cobra. Hope you're wrong about this being an artificial shortage of Cobra's. Without knowing their business model it's difficult to judge, but they might have to put some money up front to get work done, and we don't know what their cash flow is like. Also don't know what the production capacity of the job shop they're using to produce these things is. The razor isn't unfairly priced in my opinion relative to the other low production razor suppliers, so my guess is they're getting as many out as they can with the money at hand. At least I'd like to think so. Not in any hurry to trade the razor so we'll see if someone wants it. Open to offers of other razors, but I've already turned down a couple because I've either owned them in the past or wasn't terribly excited about them. And I've owned many razors, mostly vintage. Not really interested in brushes, either. Glad you like the OneBlade, hope I enjoy it as much as you when I get one. Sorry, should have added shipping is CONUS only. Traded. Thanks to all who expressed an interest. (05-22-2016, 06:26 PM)hrfdez Wrote: Nice! Lofty trade options. GLWT Trade ! For those who were following this, I am the one who made the trade. I traded a Wolfman dual head for the Cobra. The seller fully made up the difference in price between the Classic and the Wolfman.